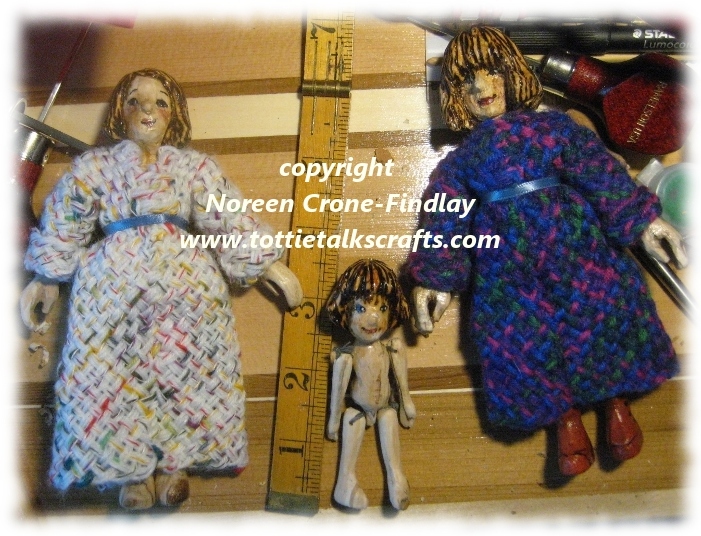 Lately, I have had a very magical time, carving small, and even smaller, (much smaller) dolls and weaving for them. 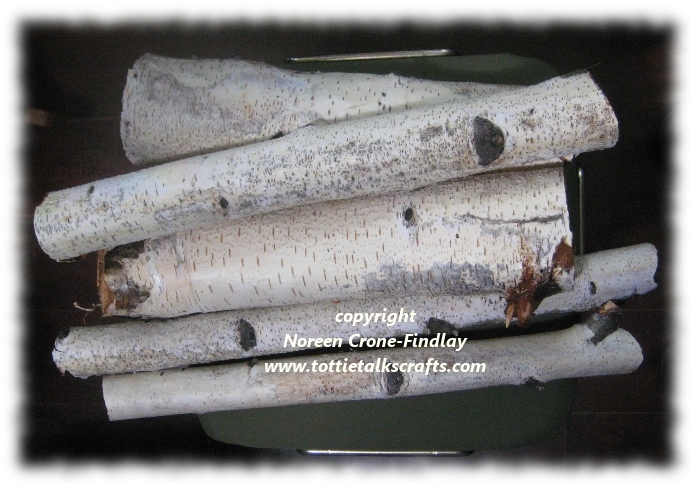 It all began just over a week ago, when one of our son’s neighbors gave us some lovely Birch wood. 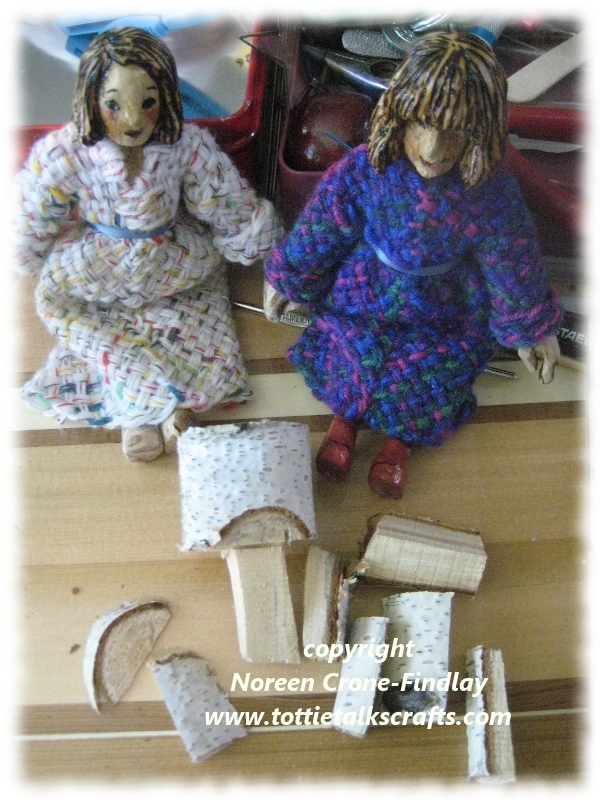 I knew that there were dolls inside the Birch wood that were just longing to get out! I showed how I wove dresses for ‘Hope’ and ‘Joy’ in my previous post: LINK. Tiny ‘Coco’ happily emerged from her branch. 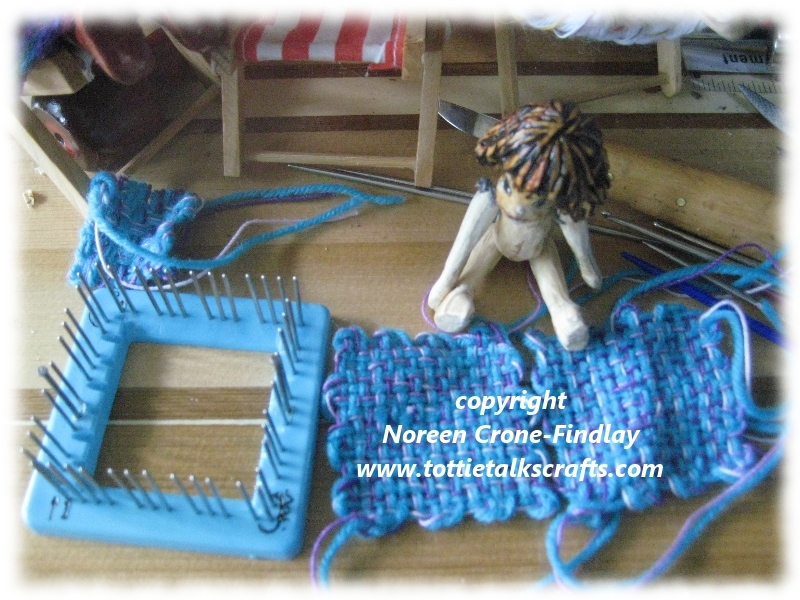 Then, I got out my 2 inch square vintage Weave It loom to weave her a dress. She’s about 3 1/2 inches tall. 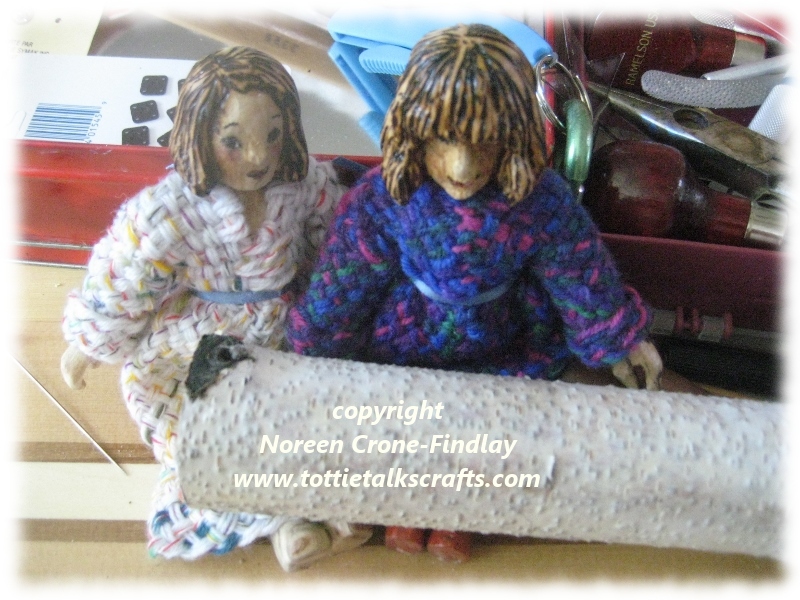 Story Door Dolls in my studio. 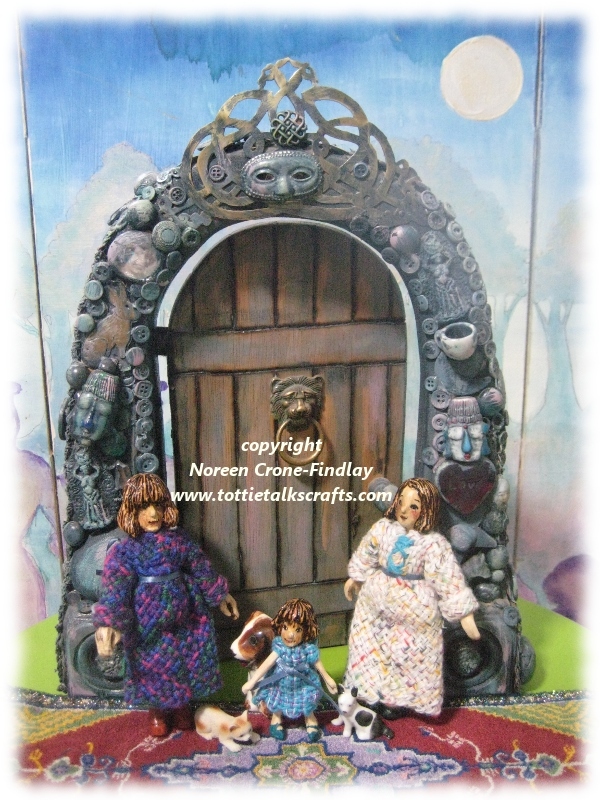 I’m looking forward to seeing what she and her sisters discover about life around the Story Door! Soooo beautiful Noreen!! 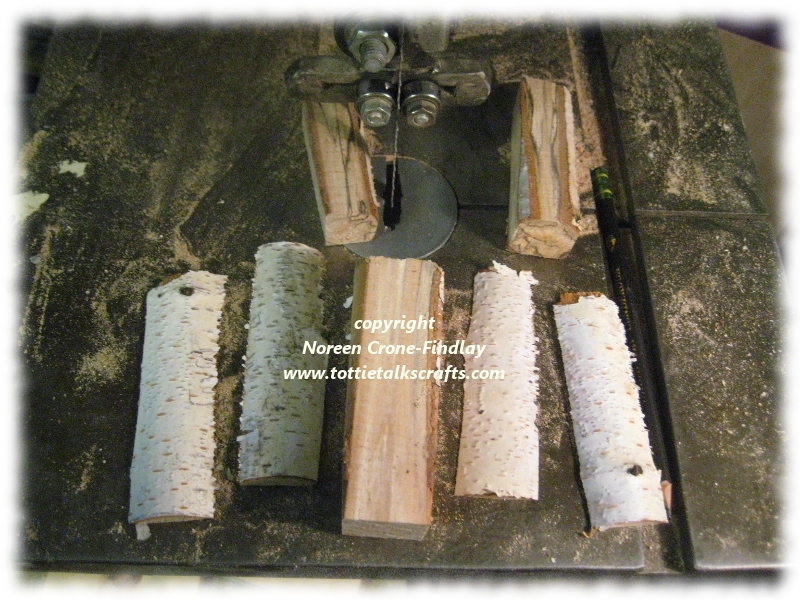 You make the birch branches come alive….very special sisters! 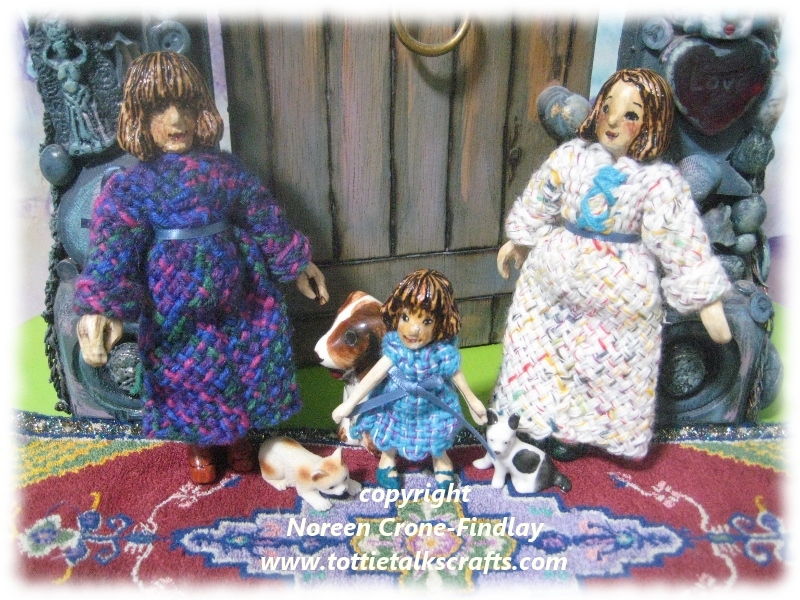 Oh they are wonderful Noreen, what beautiful little characters. You are clever! Noreen these are adorable. 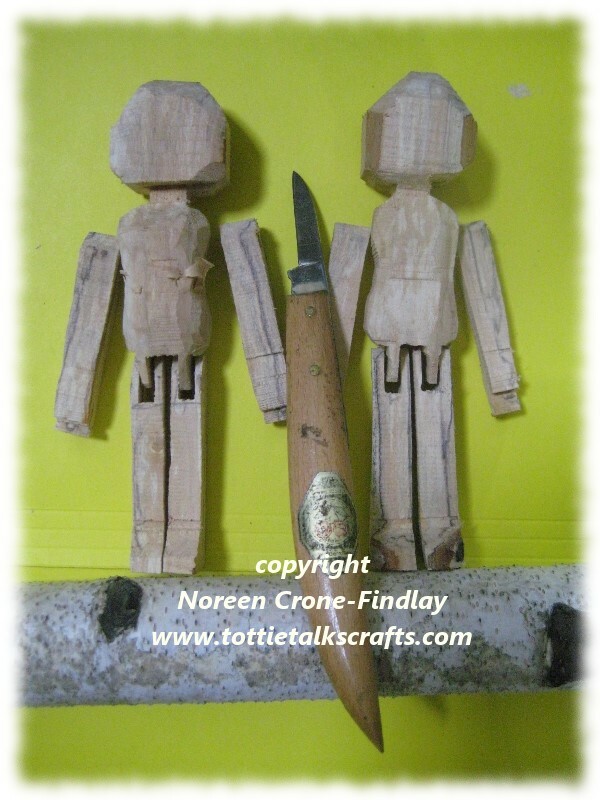 It brought back memories of the days I use to carve. Thank you, Michele! And that’s neat that you used to carve, too 🙂 Perhaps you’ll carve again?